Senior diplomats from the eight Arctic Council countries meeting in Finland late last week struggled to come up with language on climate change that the Trump administration would support at the upcoming ministerial meeting in May, according to people familiar with these discussions. The Senior Arctic Officials and Indigenous leaders from – Canada, Denmark, Finland, Iceland, Norway, Russia, Sweden and the United States – met from April 11 to April 13 in Espoo, a suburb of Helsinki, to finalize the preparation ahead of the biennial Arctic Council ministerial in Rovaniemi, Finland, on May 6 and 7. 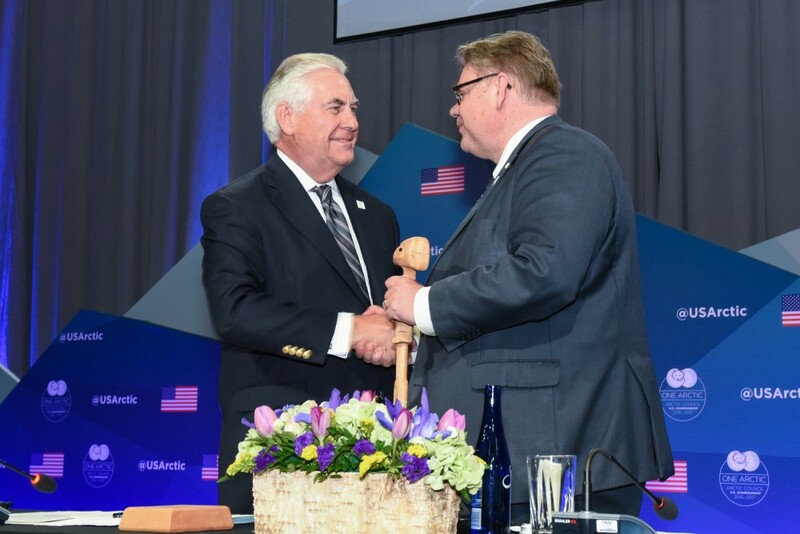 The summit will officially conclude Finland’s two-year chairmanship of the Arctic Council and will pass the gavel of the chair to Iceland, which assumes the rotating chairmanship for the next two years. The Arctic Council has traditionally adopted declarations at the conclusion of ministerial meetings that set out common priorities and commit the member states to a certain course of action for the next two years. There was some last minute drama at the Fairbanks ministerial in Alaska in May of 2017 when the Trump administration sought to weaken wording of the declaration on climate change, greenhouse gas emissions and renewable energy. Ultimately, however, discussion of climate change and an embrace of the Paris agreement remained in the final Fairbanks Declaration. The document was unanimously endorsed by then Secretary of State Rex Tillerson and his Arctic Council counterparts — a requirement of the consensus-only policy of the council. “It’s not a secret that Fairbanks became a little difficult and this one is proving challenging to find language, particularly related to the climate, that the Americans can support,” a source familiar with these discussions told Radio Canada International. However, officials from all eight countries are working hard to iron out their differences and come up with a document that everyone can support, the source said. 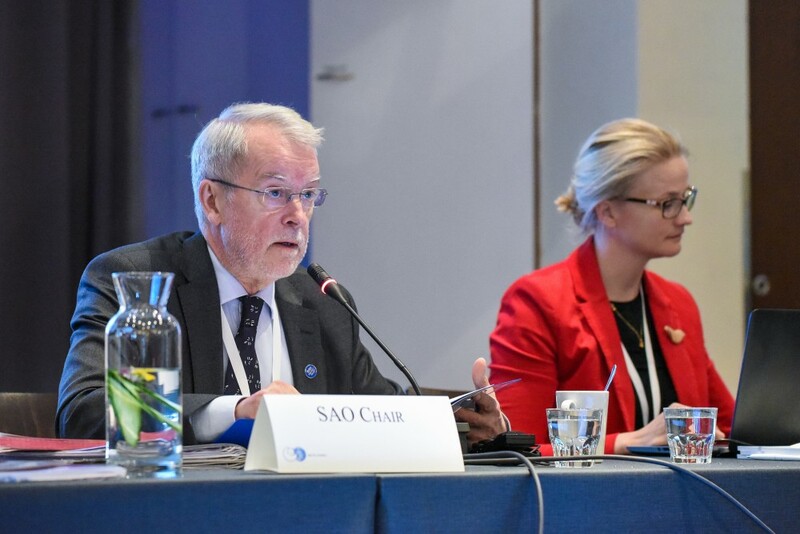 “We already have made good progress and we are confident that we will finalize the Declaration well in time of the Ministerial,” Finland’s ambassador Aleksi Härkönen, Chair of the Senior Arctic Officials, told Radio Canada International when asked to comment on the matter. Officials with the U.S. State Department said they do not comment on ongoing negotiations. “The United States supports a balanced approach that promotes economic growth and improves energy security while protecting the environment,” a State Department spokesperson told Radio Canada International. A set of outreach videos aimed at raising awareness on how an oil spill emergency affects small communities and how they can prepare to respond appropriately. Apart from the eight Arctic states the Arctic Council also includes representatives from the Permanent Participants – the Aleut International Association, the Arctic Athabaskan Council, Gwich’in Council International, the Inuit Circumpolar Council, Russian Association of Indigenous Peoples of the North and the Saami Council. This story is posted on the Barents Observer as part of Eye on the Arctic, a collaborative partnership between public and private circumpolar media organizations.